When Jordan Brand announced that they will be giving their old Jordan Big Fund a fresh and sleeker look, most of us were intrigued. And when the product was unveiled, which is now known as the Jordan Big Fund Viz RST, most of us were impressed. 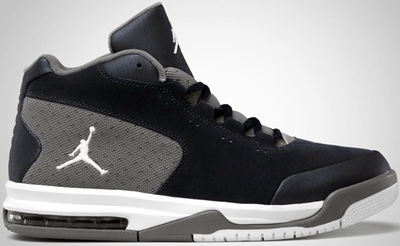 This March 2012, this sneaker that provides great comfort and is also an eye-catcher will be released in two more colorways – Obsidian/White – Cool Grey and White/Metallic Silver – Wolf Grey. Both colorways look very intriguing as usual, making it an expected hit once it is released. This will be released anytime soon so watch out for it! Jordan Big Fund Viz RST Lined-Up Again This February! Jordan Big Fund Viz RST to be Launched! New-Look Jordan Big Fund Coming Out! Jordan Big Ups Hitting Shelves Again!